On Sunday, Atletico Madrid unveiled striker Diego Costa three months after the Spanish international striker completed a £57million move from Premier League Chelsea. A transfer ban meant that Los Rojiblancos were unable to register the fiery striker. However, with the transfer ban now over, the striker is free to start his second stint as an Atletico player. It may take the 29-year-old some time to get back to match fitness, but he could be set to cause havoc for La Liga defences all over again. Atletico Madrid are well-stocked with strikers in the shape of Antoine Griezmann and Kevin Gameiro. However, Diego Costa has the x-factor and something different from the strikers currently available to boss Diego Simeone. Atletico will believe that they still have a chance of catching Barcelona, despite the Catalan giants being nine points ahead in the race for the Spanish title. However, the bookmakers do not believe that the men from the capital can catch the Blaugrana, as they are 33/1 to win La Liga this season. Simeone’s side are second in the table and may only have a small chance of catching Ernesto Valverde’s side, but the presence of Costa will certainly improve their chances of bridging the gap to the Catalan giants. The Brazilian-born striker is a match-winner and was a key player last time Atletico upset the applecart at home and abroad. Chelsea fans will have fond memories of Diego Costa, well for much of his time with the club, obviously not the last few months when the striker when on strike. The striker is the sort of player that as an opposition fan, player or boss you hate. He is niggly, annoying, dramatic and often appears bad-tempered on the pitch. However, he is also the sort of player that opposition fans want on their team. If he is on your team, you love him and he is a major asset. He will work hard, upset opposition defences by getting under their skin. I have written in the past that Diego Costa is a pantomime baddie. However, for many, he is a hero. It is all about whose perspective you look at the striker from. I am sure the majority of Chelsea fans thought he was a hero for much of his time at Stamford Bridge. Atletico fans believed he was a hero for their club in his first spell at the club. I am sure he will once again become a hero to the fans of the Los Rojiblancos. It may well be awhile before we see Diego Costa back to his fighting best for Atletico Madrid. It will no doubt take him time to get back to full match fitness after such a long period out of the game. However, it will be good to see Diego Costa back on a football pitch. Love him or loathe him, the striker is a character and the game is short of those these days. He brings drama and an excitement to the beautiful game. His behaviour may not be beautiful all the time, but players like Diego Costa are why football fans watch the game. The striker is a player who can get them off their seats and entertain them. Everybody seems happy with Diego Costa being back in Madrid, including the player himself of course. Even former boss at Chelsea Antonio Conte has praised the striker recently. 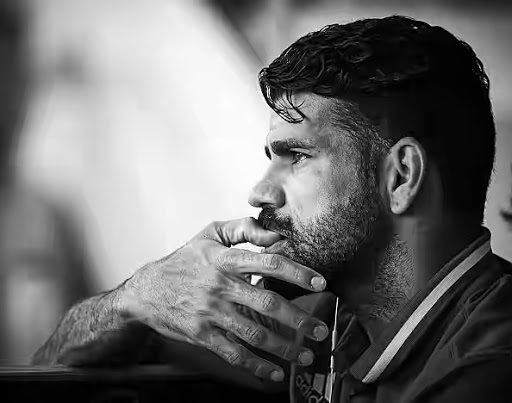 With more than half of the season left, there is still time for Costa to get back in form and force his way back into the Spanish squad for next year’s World Cup. Diego Costa is a player that needs to be playing football. I hope that he can get back to his best at Atletico in the next couple of months and start to enjoy his football again. I have a feeling La Liga defences will not be enjoying many of their confrontations with the striker though! Will Diego Costa return to top form at Atletico Madrid?